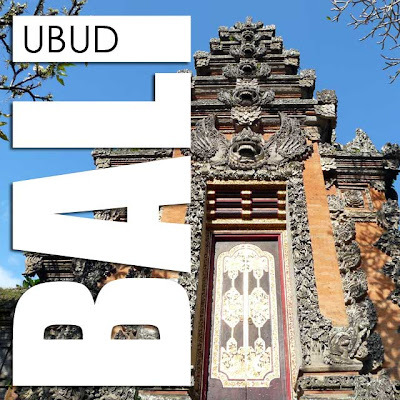 Ubud is one of Bali's major centers for culture and the arts. I decided to make that two hour road trip from Kuta to Ubud to enable me to explore more of Bali. As soon we entered Ubud, the first thing I noticed was row after row of art shops. Indeed, Ubud was a major arts center for Bali. At the drop off point, there were touts offering places to stay. 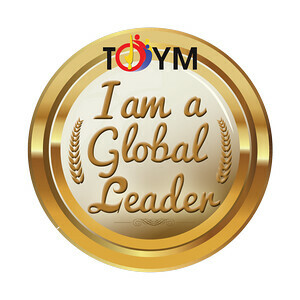 While I usually avoid them, I realized they might be a viable option to find cheap accommodation. After asking the rates for the rooms which were much cheaper than Kuta, I decided to check out the place being offered. It was quite decent and worth the cost. Anyway, the person who took me to the lodging also offered to take me around Ubud and its environs on his ojek. After negotiating the rates, we were off. 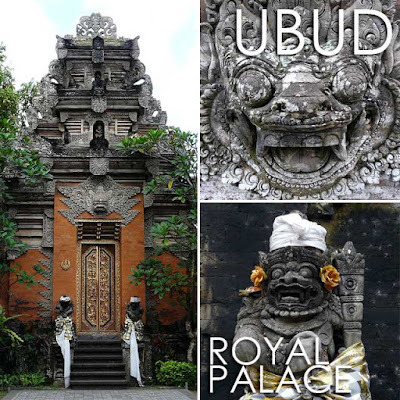 Our first stop was the Ubud Royal Palace. The Ubud Royal Palace or Puri Saren Agung was home to Tjokorda Gede Agung Sukawati, the last "king" of Ubud. The architecture is a showcase of what is truly Balinese with its intricately carved wooden pavilions and stone gates and demons. 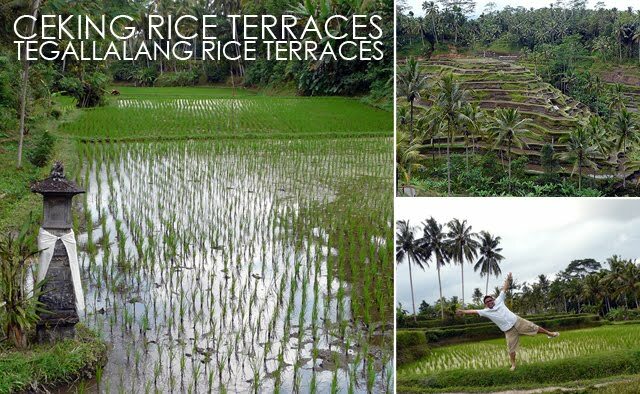 We also got to visit the Ceking and Tegallalang Rice Terraces. The rice terraces in Ifugao are much more extensive than those in Bali. But because of accessibility, the rice terraces of Bali get more visitors. Our last stop was the Tegenungan Falls located in Gianyar before we proceeded to the Kecak Dance performance. 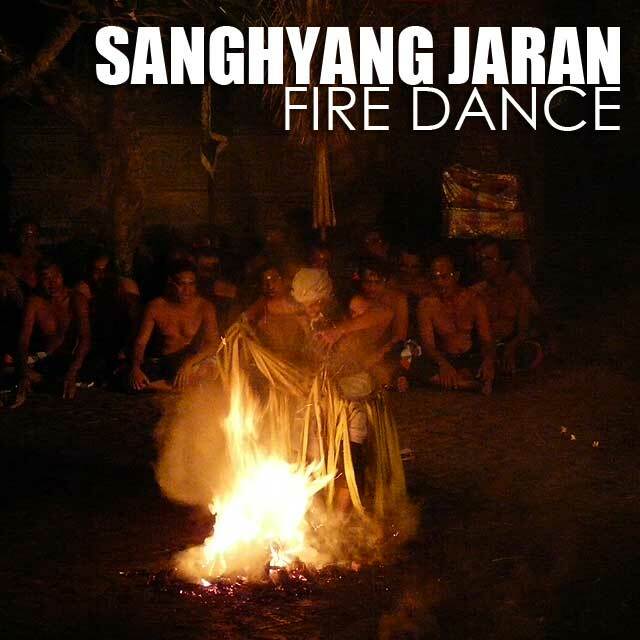 Having seen this in National Geographic and other television shows, I made sure to watch a Kecak performance. 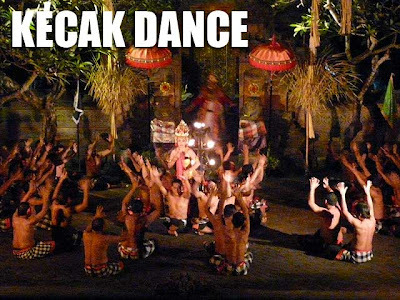 Kecak is a Balinese dance primarily performed by men wearing checkered cloth around their waists who form a circle of 100 or more performers chanting cak while throwing up their arms in a rhythmic display. 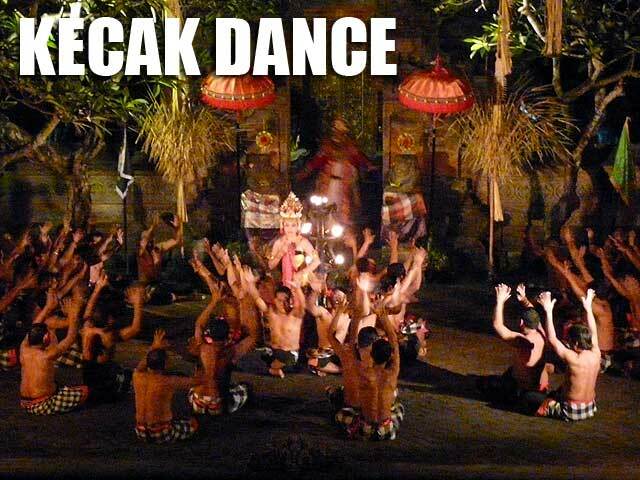 Kecak is also known as the Ramayana Monkey Chant. Because this performance is highly-sought by tourists, there are several nightly performances of both the Kecak and Sanghyang Jaran (Fire Dance) which features a fire walk by a performer in a trance. When in Ubud, you just look for an ojek to take you to one which are usually in the outskirts of the town. I spent Rp80,000 for a ticket to the performance. 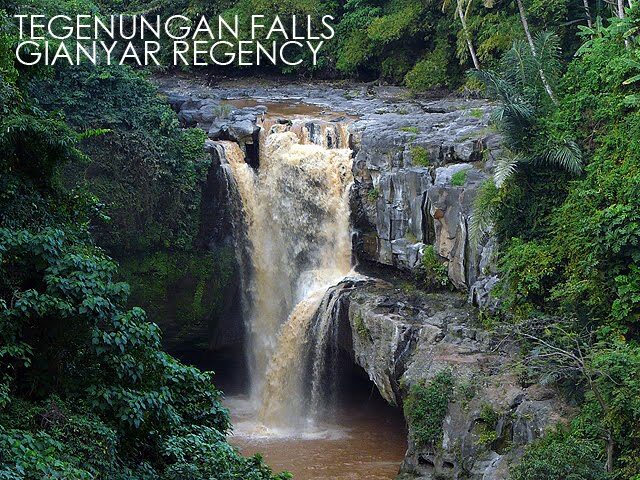 The good thing about this whole itinerary was that I was able to visit all these places in and around Ubud in less than half a day with the help of an ojek. For the next day, I had made arrangements to hire a vehicle for the next day to take me around Bali's other major attractions.